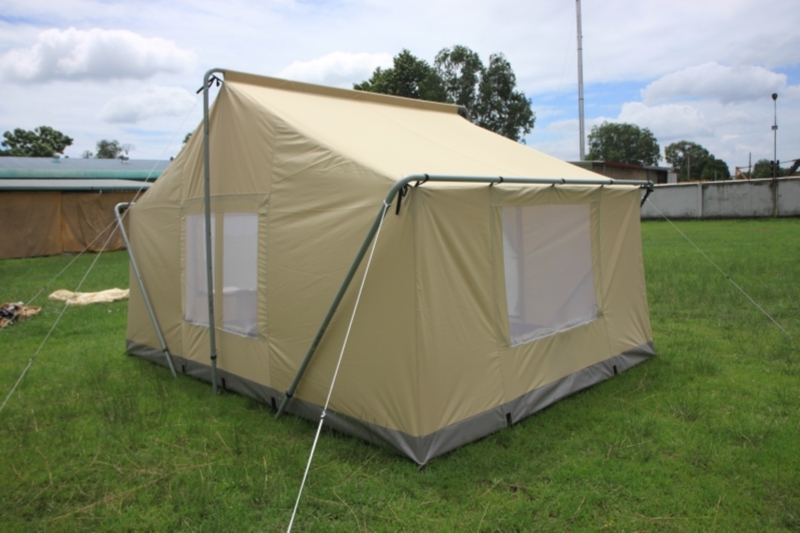 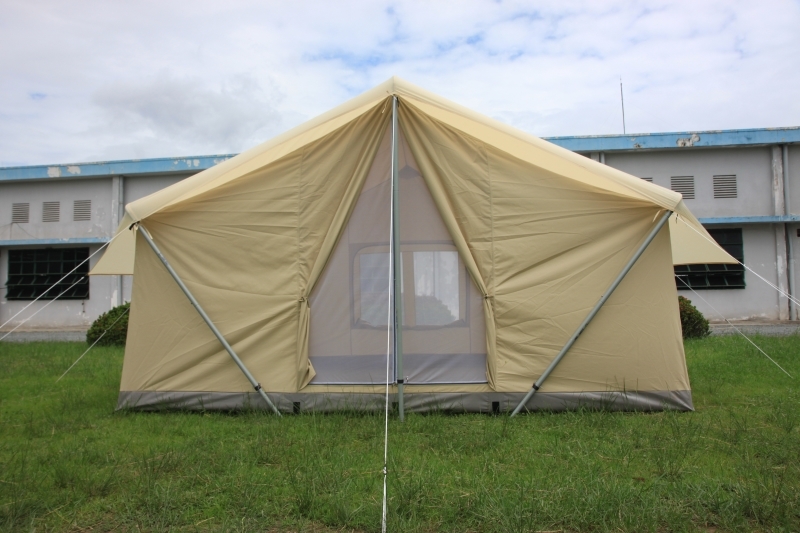 Rugged canvas tents with steel external frame for car camping or an extended camping vacation. 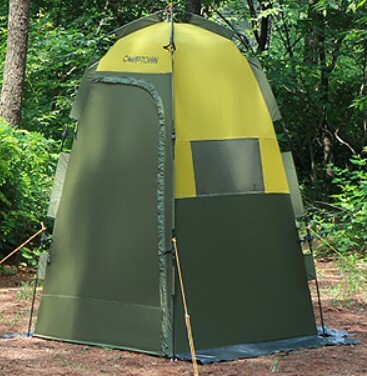 The perfect canvas tents for those who want a durable tent and the comfort that it provides, and still be able to carry it all around. 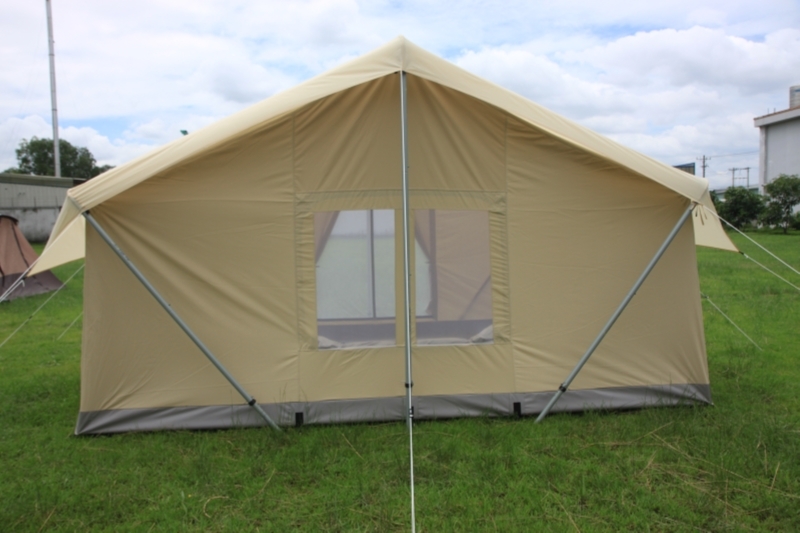 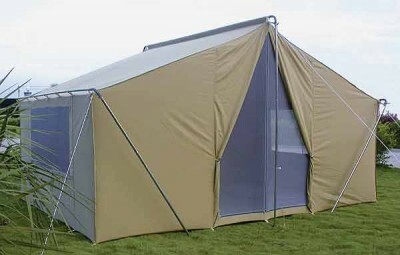 Our canvas tents offer a breathable fabric with high waterproofing for comfort in all weather conditions. 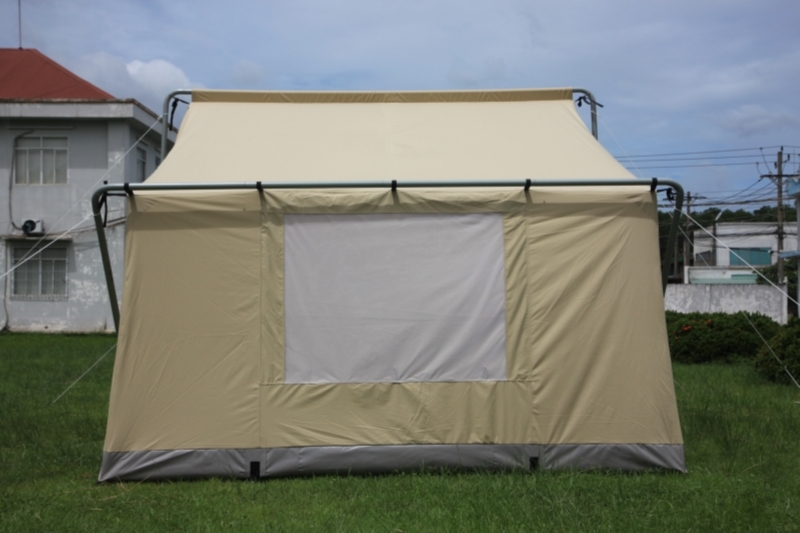 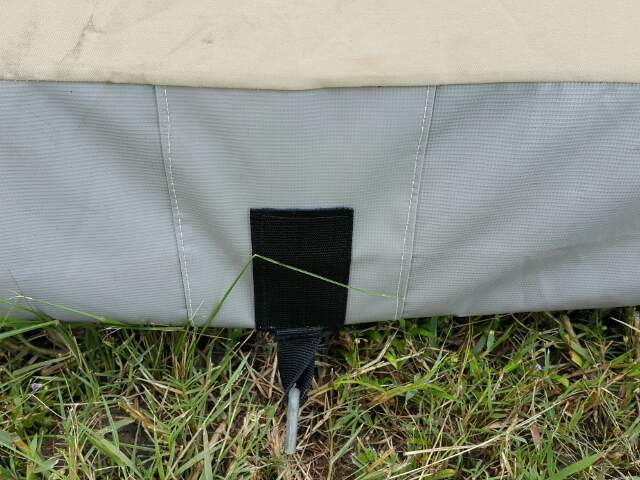 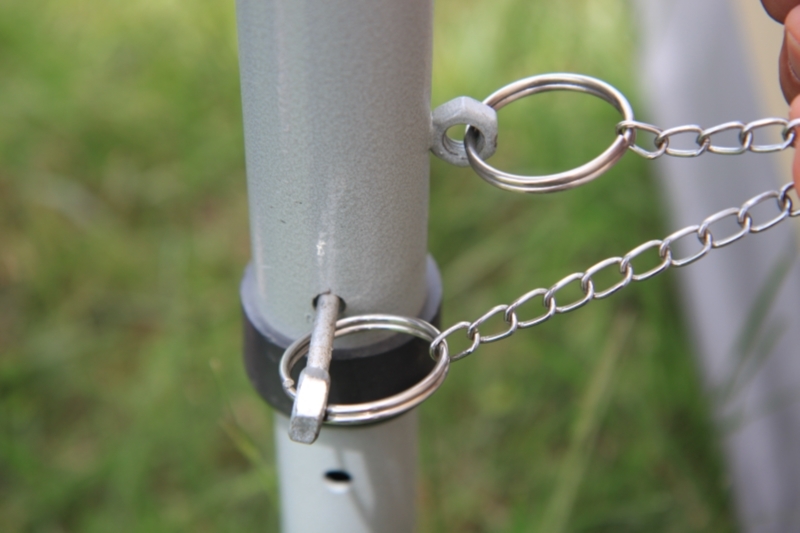 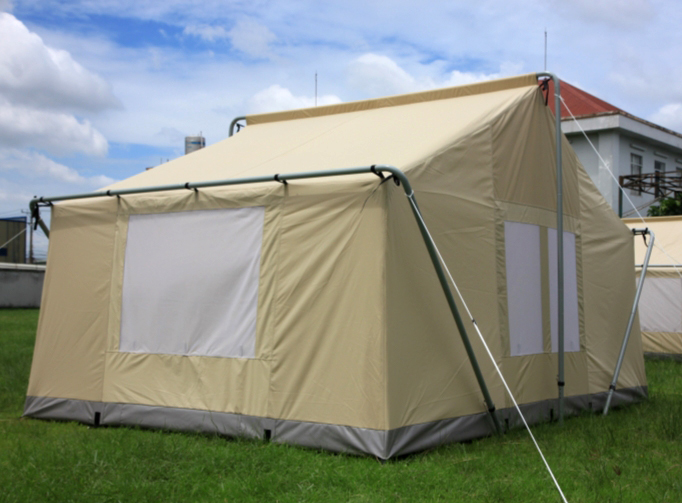 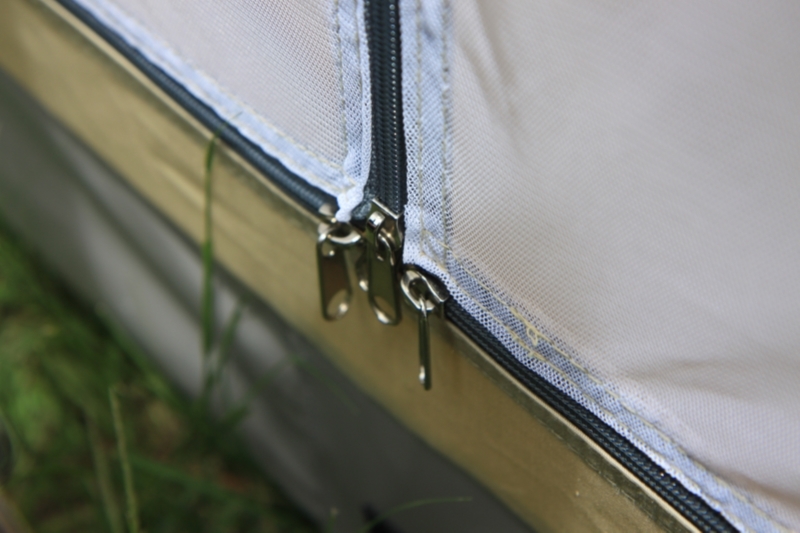 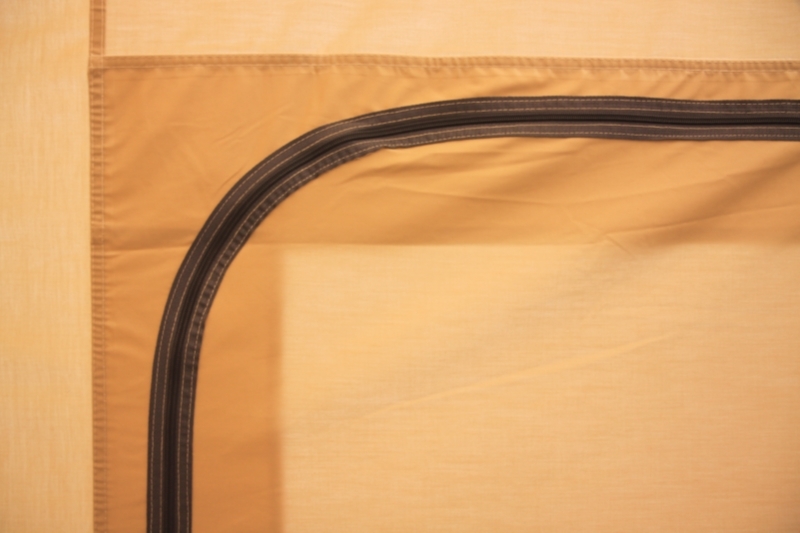 Consider an optional Polyester or Canvas Rain Fly listed below for added protection and comfort for your new canvas tent. 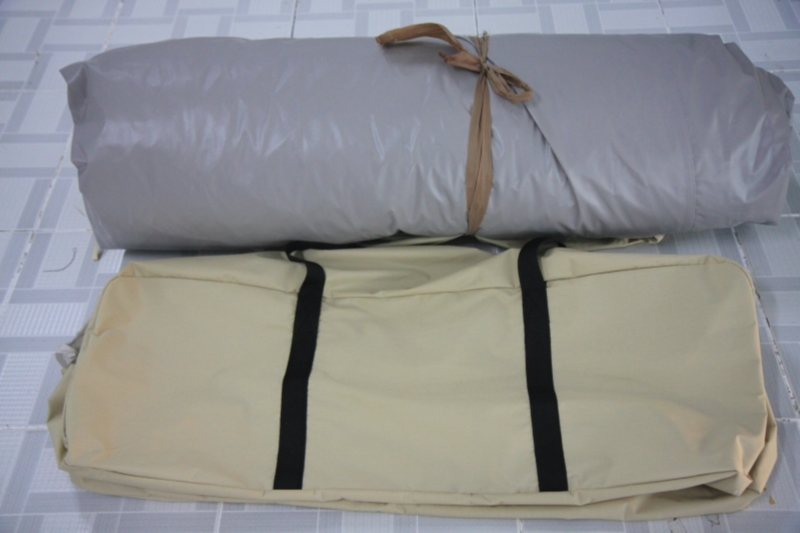 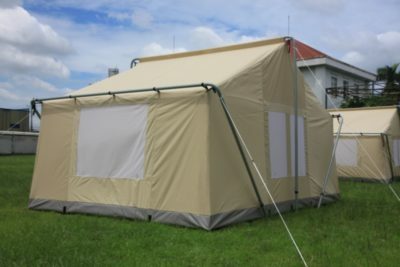 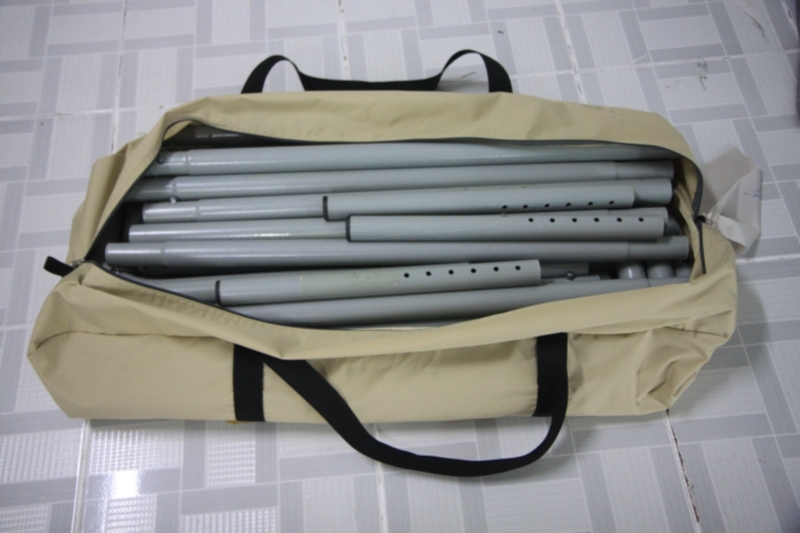 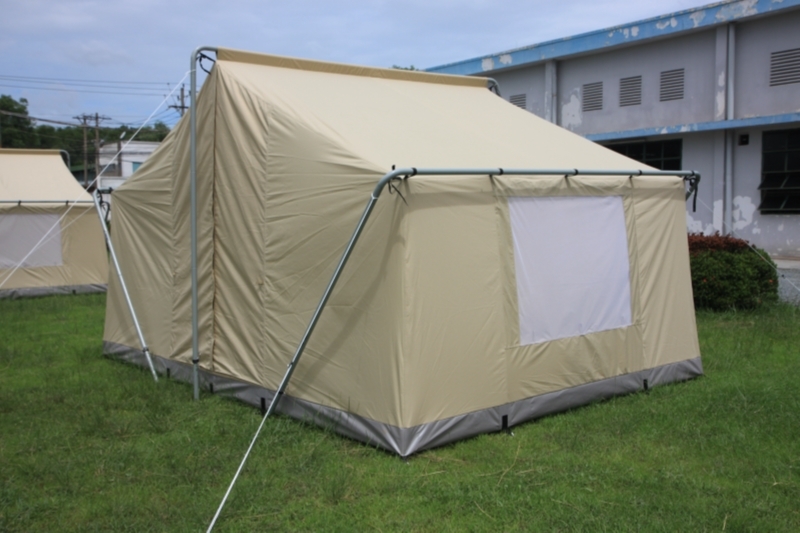 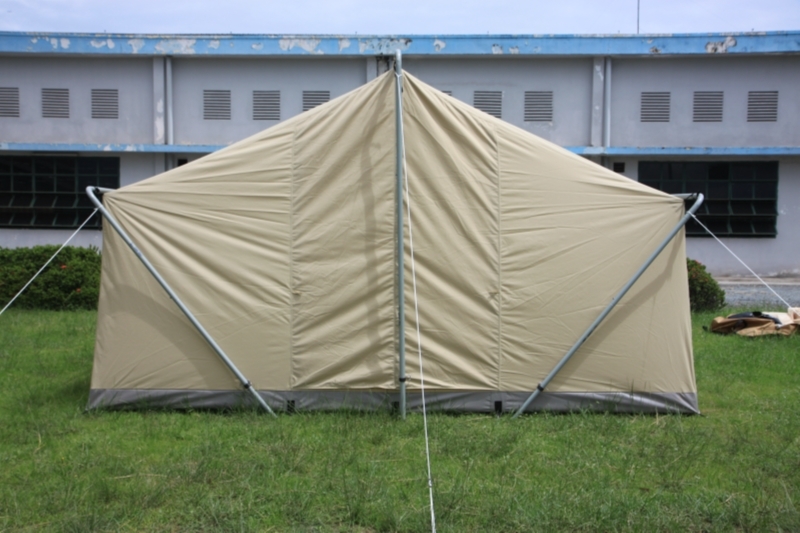 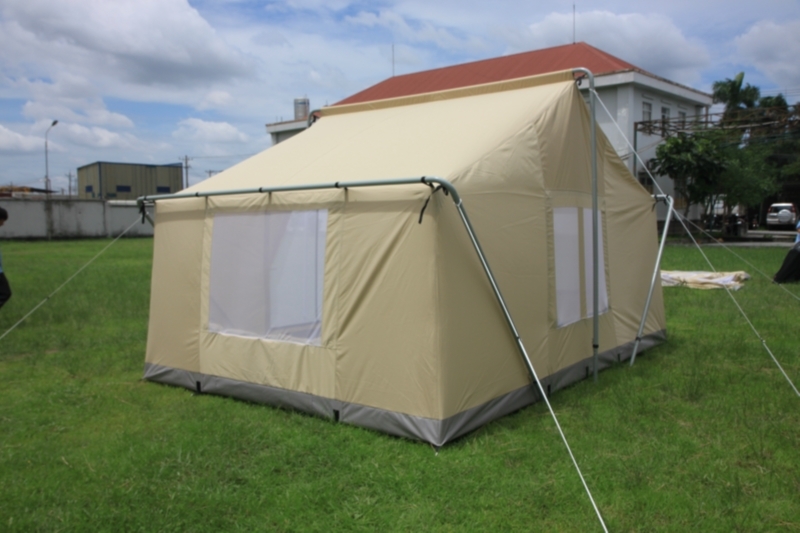 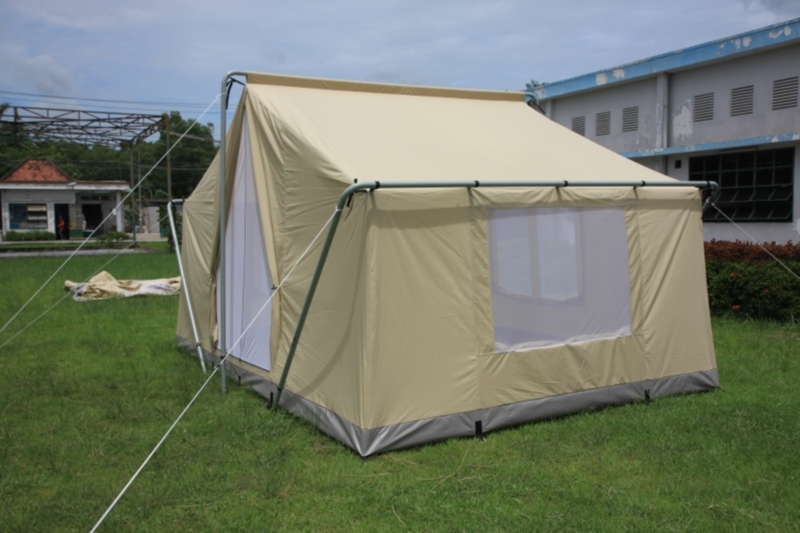 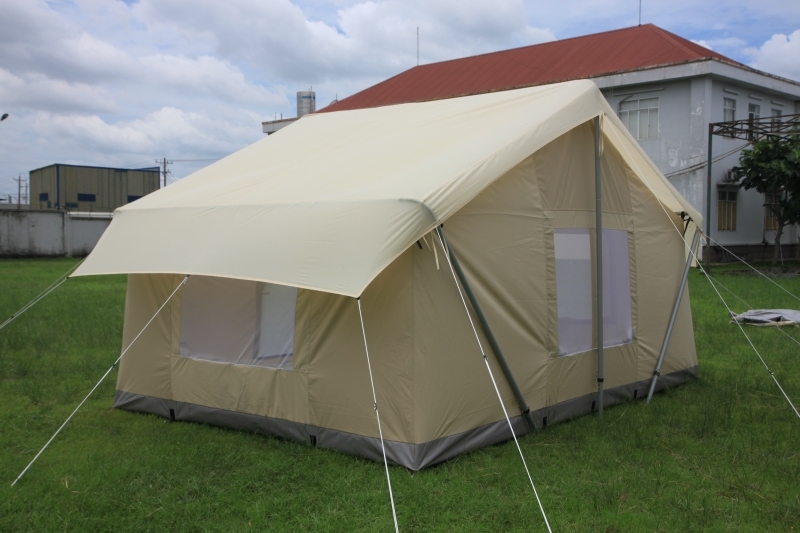 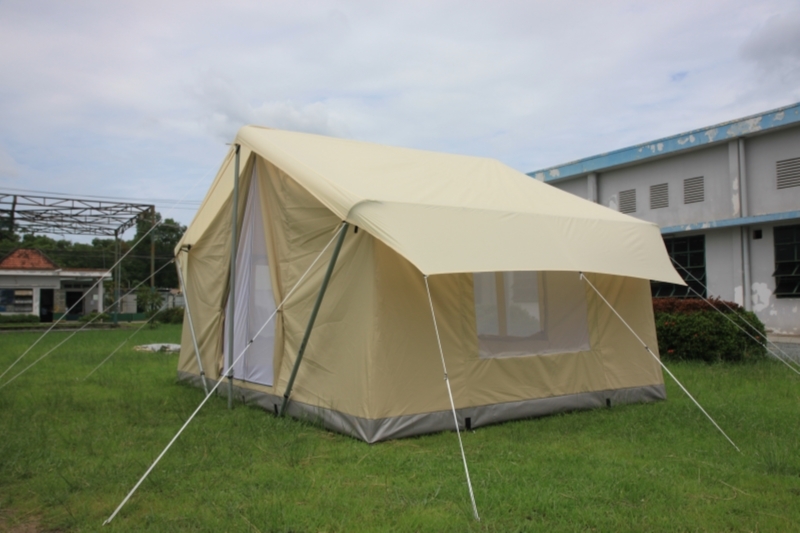 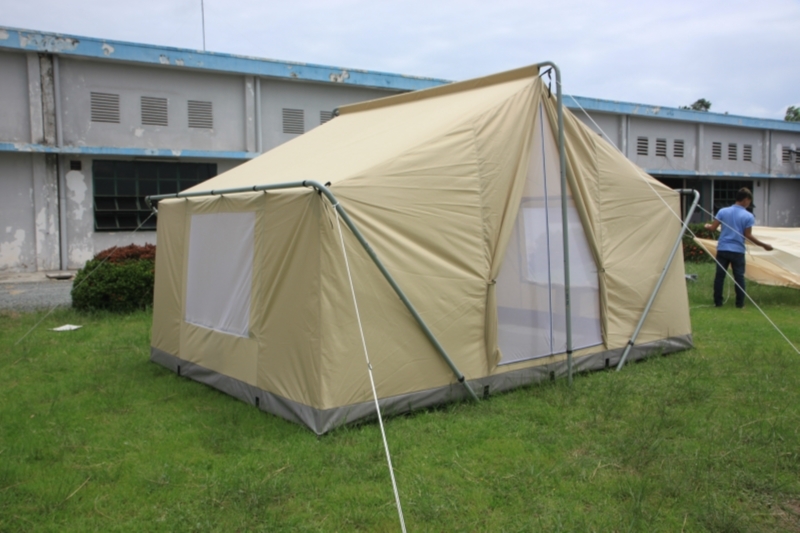 Welcome to our premium line of canvas tents. 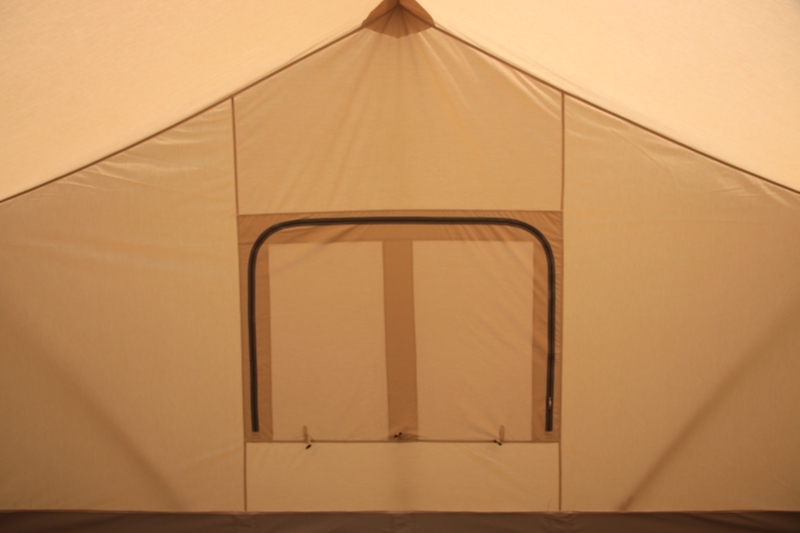 We took our proven 25 year old canvas tent design and made it even better for this outfitter style canvas wall tent by making the poles and canvas significantly stronger, adding a bathtub style floor, reinforced staking system, and so much more. 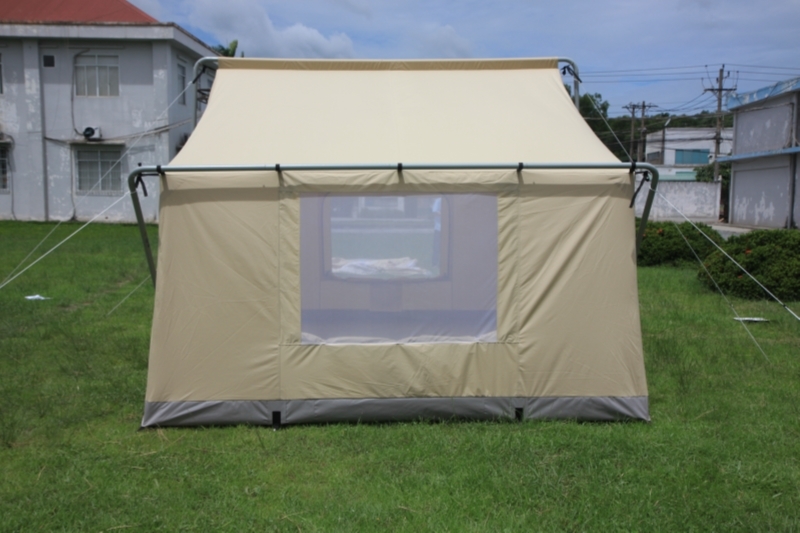 Be sure to check out our canvas tents comparison chart below. 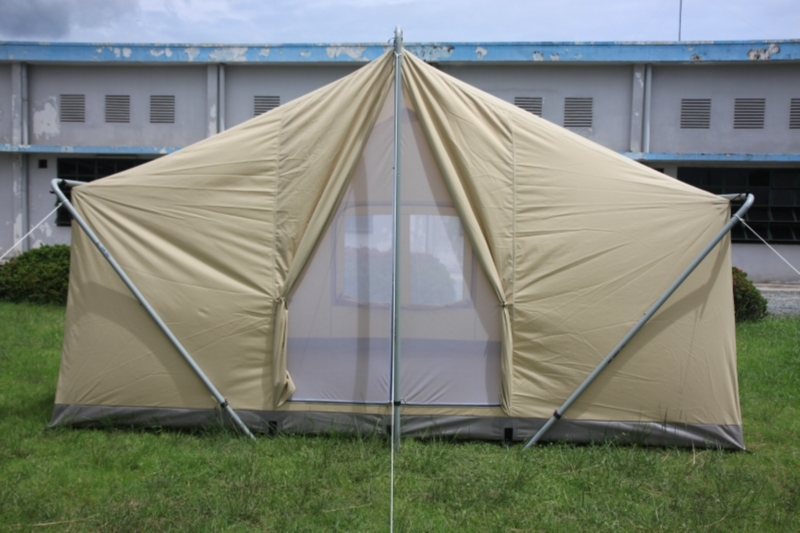 These are the perfect canvas tents for general camping, hunting, reenactments, retreats, or basecamps. 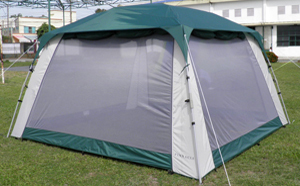 Stay warm dry and comfortable in all weather conditions. 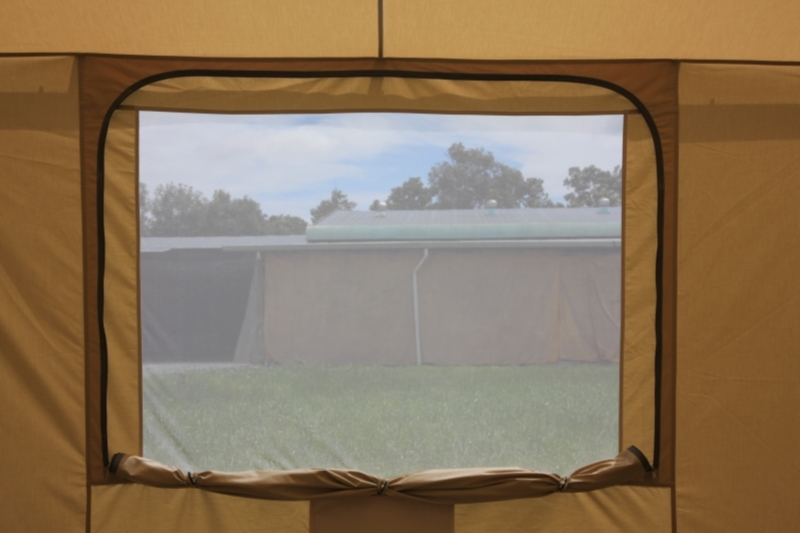 For those warm breezy days, just open the 3 large screen windows and door to soak in the fresh air. 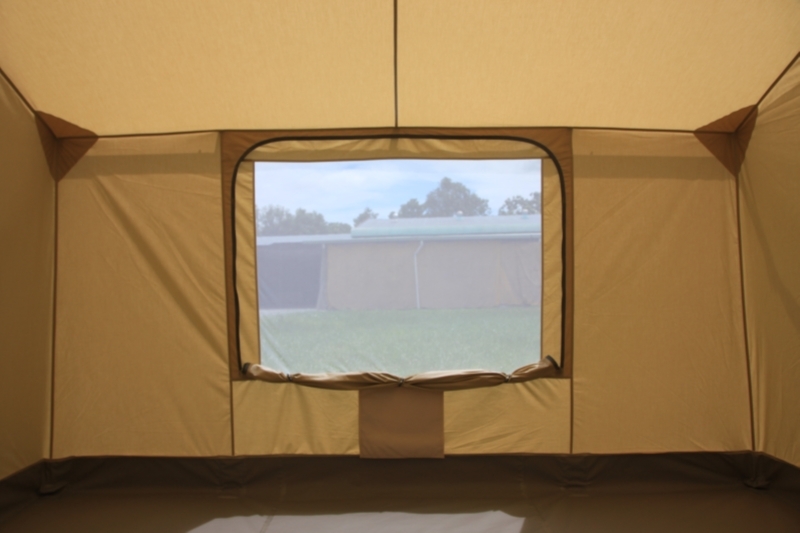 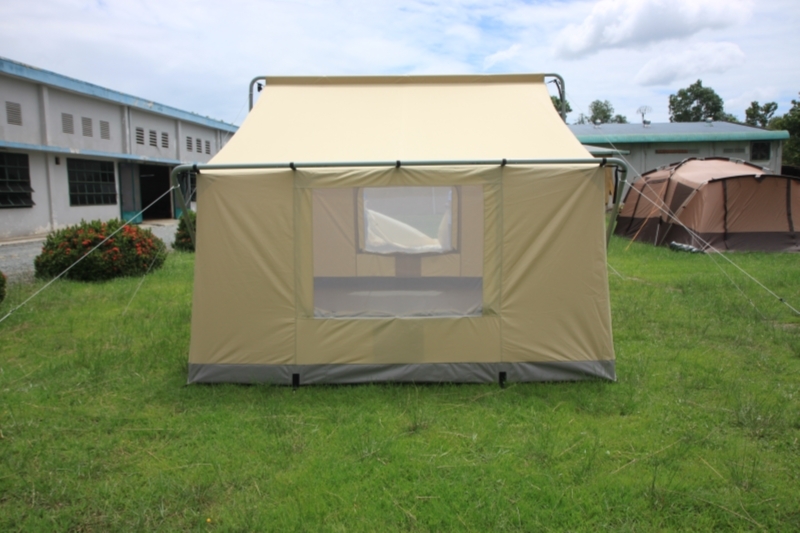 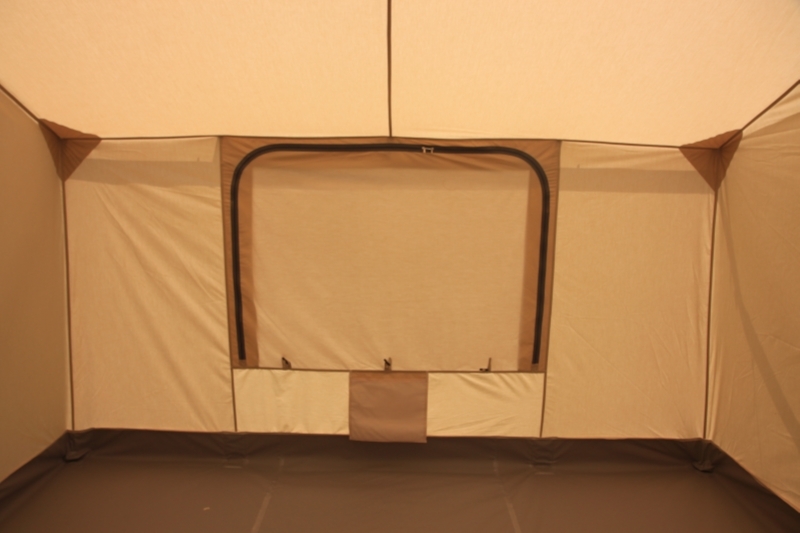 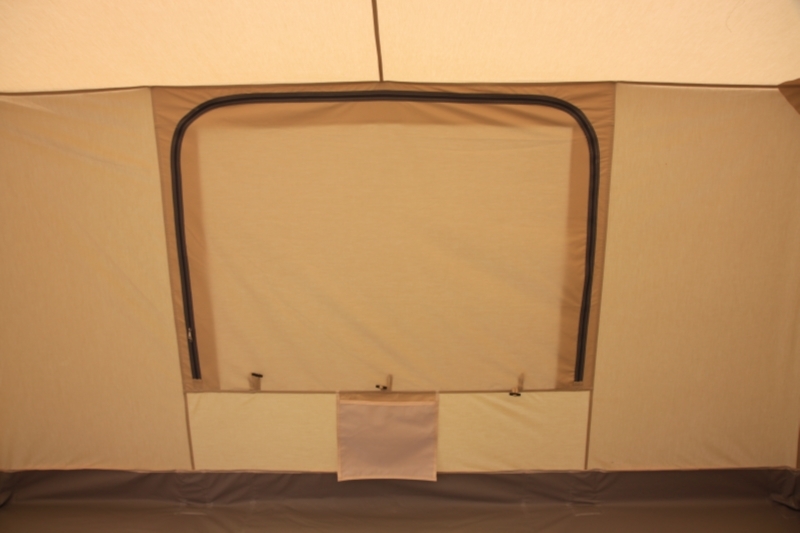 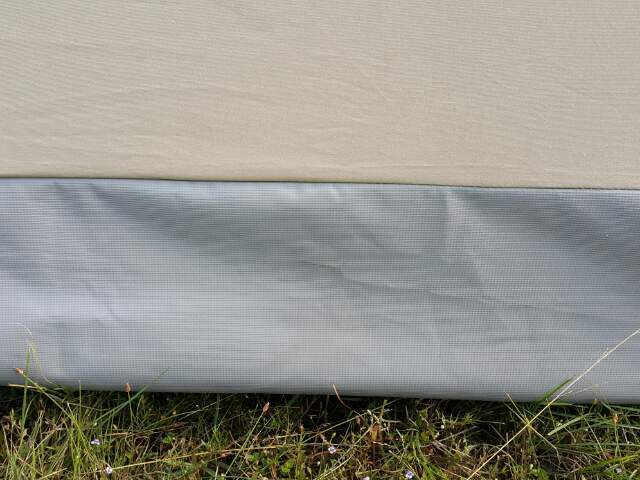 These durable canvas tents with heavy duty sewn in vinyl bathtub style floor will provide years of enjoyment and use. 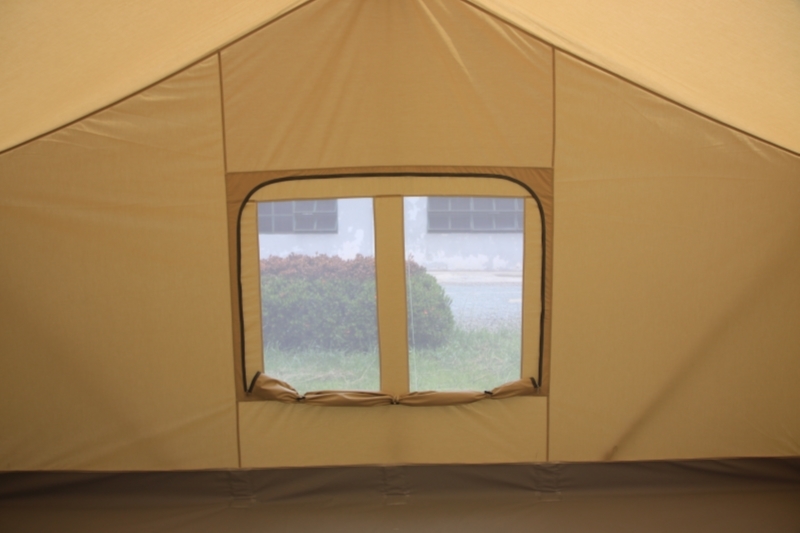 Get one now and you will be enjoying your own cabin in the outdoors! 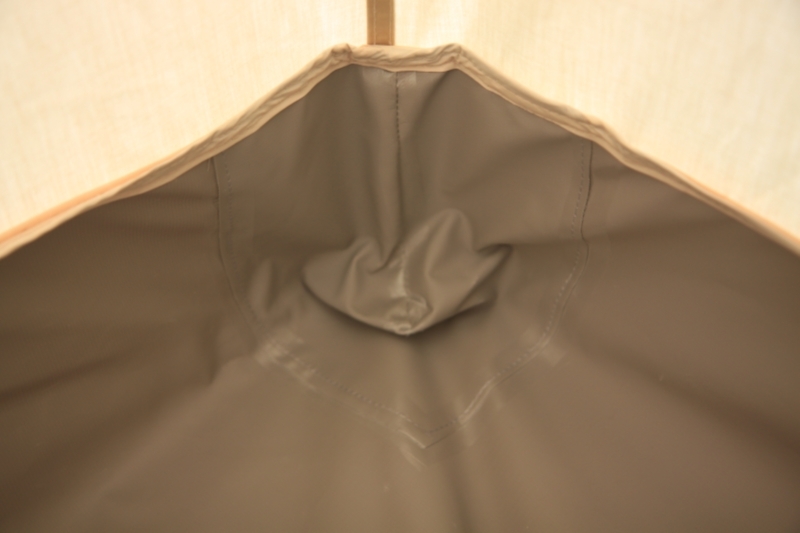 Canvas Tents Comparison Chart – See what makes our premium canvas tents so great! 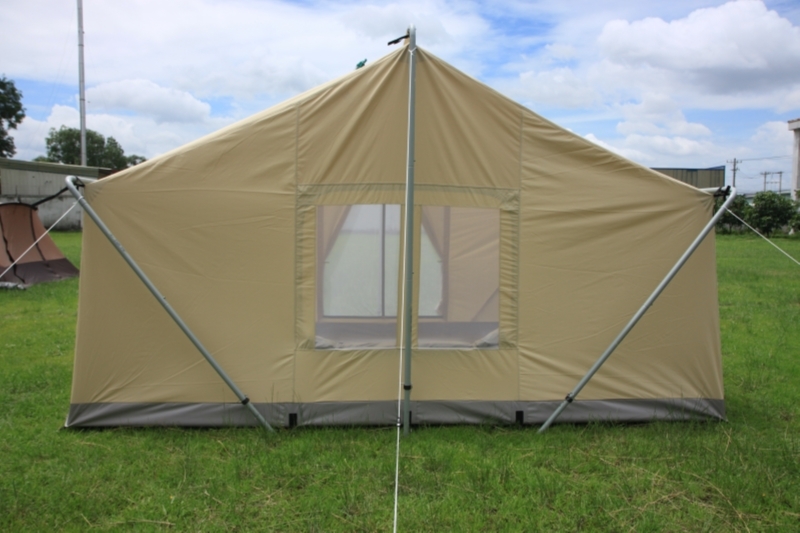 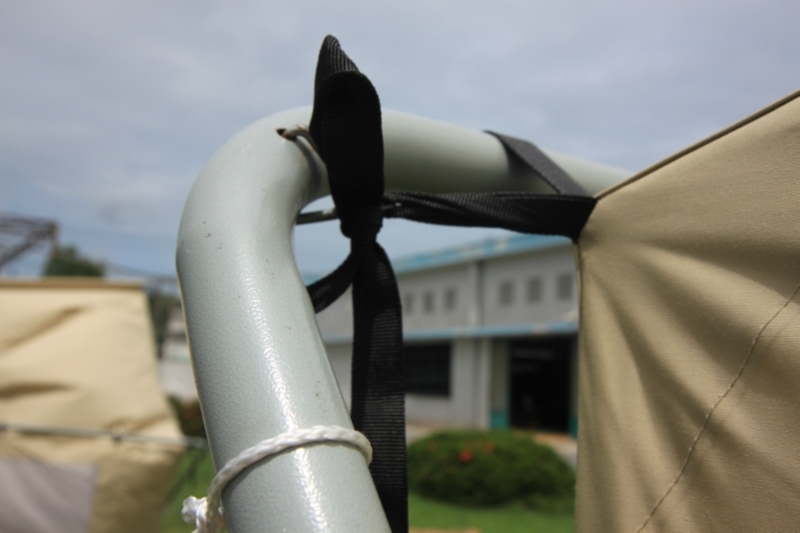 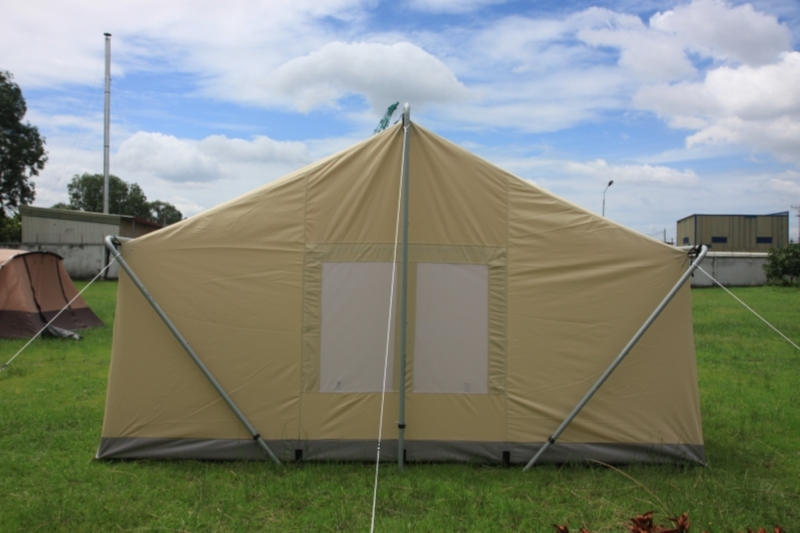 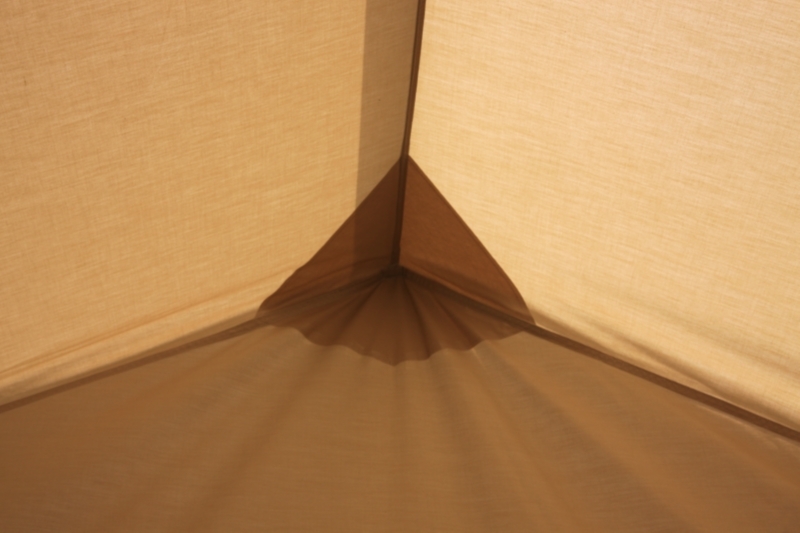 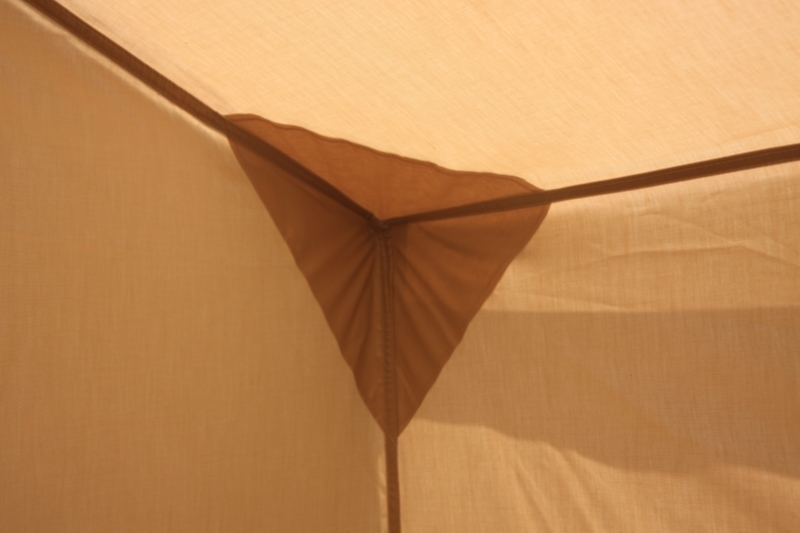 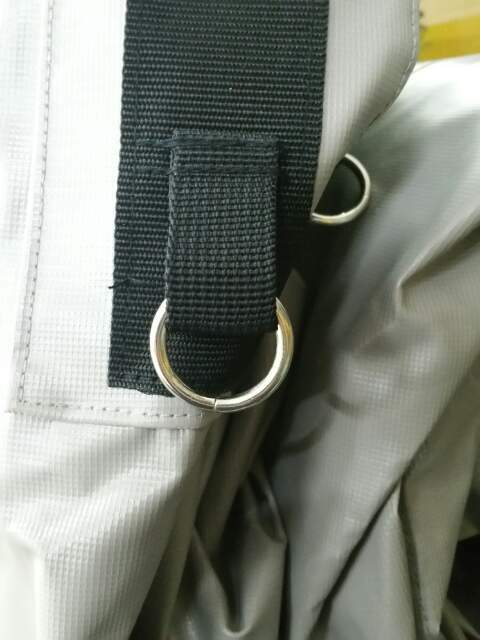 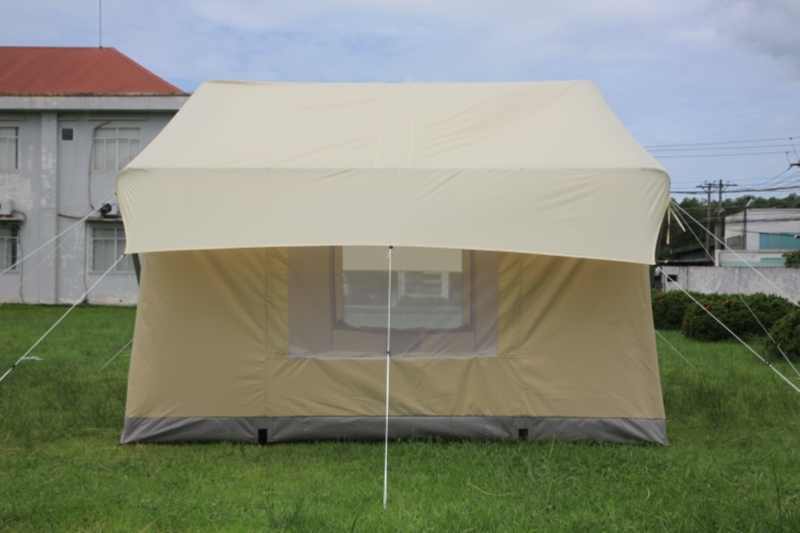 Also check out our canvas tent Testimonials and our About Us to learn more about our company.